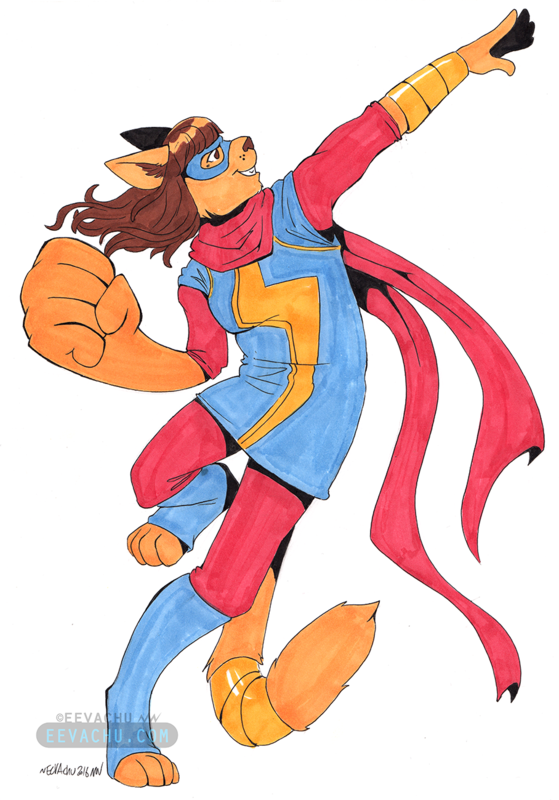 Commission of a furry version of any superhero of my choosing. I, of course, picked my gal Kamala Khan aka Ms. Marvel. 2016. Cardstock, pencil, Staedtler multiliners/Pigma microns, Copic sketch markers; Originals is 8.5″ x 11″.